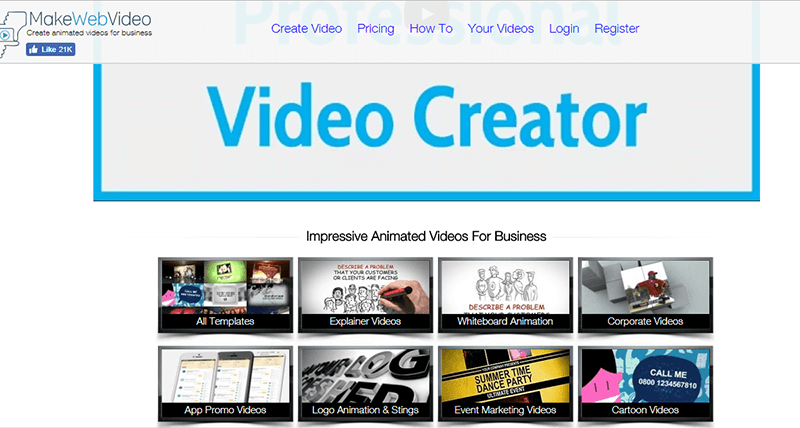 Animation probates the most interactive, and engaging video marketing for businesses. Be it banner ads, ad films, explanatory videos, demos or presentations, the use of animation is unanimous. Ever since motion pictures came to terms with our ubiquitous imaginations and Disney cartoons, visions have been provisioned with either a reality or a possibility, no matter how impossibly innovative it may sound. So as you know, today, with the provision of digitization, or simply the Internet, it is possible you can actually make an animated video on your own, without being a pro at it, without even knowing a thing about it. Create mascots, or special messages, or interactive business presentations, and all this can be actually fun. So here goes the top 10 websites where you can make a 3D cartoon video, without even needing to download an app or widget. 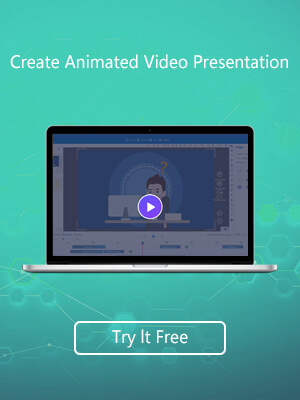 An easy animation creator online application, all you need to do is just sign up and start creating, and download your creations, from the online library. Your videos look flawless in mobiles of all screen sizes. It offers vast choices in features for logo designing, vector style images and a plethora of graphics and effects. Animiz is a newly launched sophisticated 3D animation cartoon making online software that is simple yet powerful. Get features like lively special effects, captioning and voiceover, multi-track timeline and flexible publishing that supports 6 different formats, including mp4, .mov, .wmv, .avi, .flv, .mkv. Your videos are watchable and shareable across multiple devices. They offer a host of free features and videos as well. 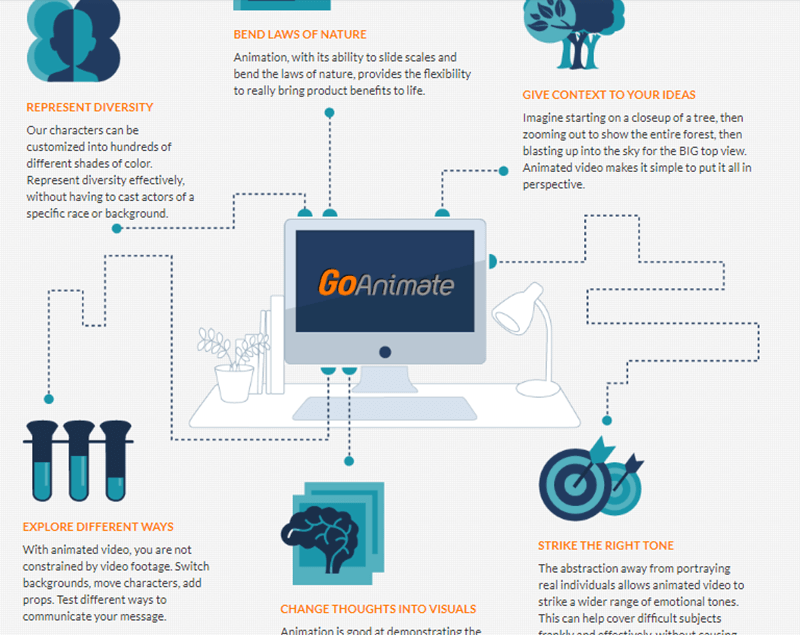 Go Animate helps you make high end professional animated videos, and with your subscription you get “unlimited everything” that includes, a vast diversity of character designing tools, backgrounds and brand colors, incredible perspectives, props, special visual effects, automatic lip-sync and more features all accessible under a flexible workflow and seamless user interface. Do it all in the website itself, no need to download anything, other than your files. 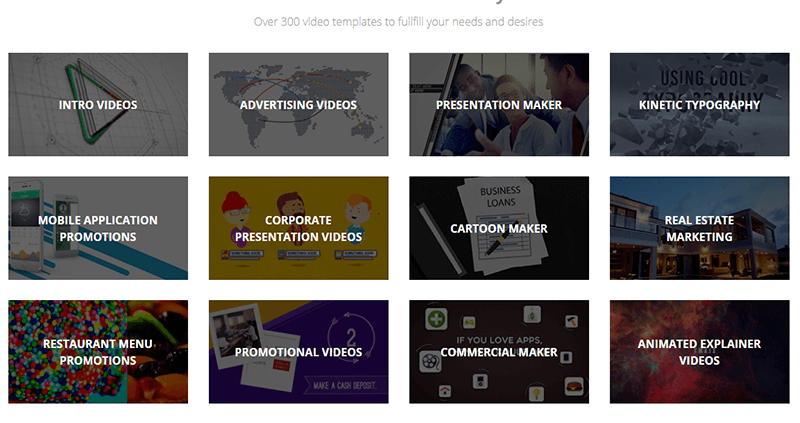 3D modeling made simple as ever with Renderforest’s, cloud based animation video maker, which offers a vast collection of video templates, backgrounds and features, accessible from web browsers itself, that are categorized for specific needs of users. 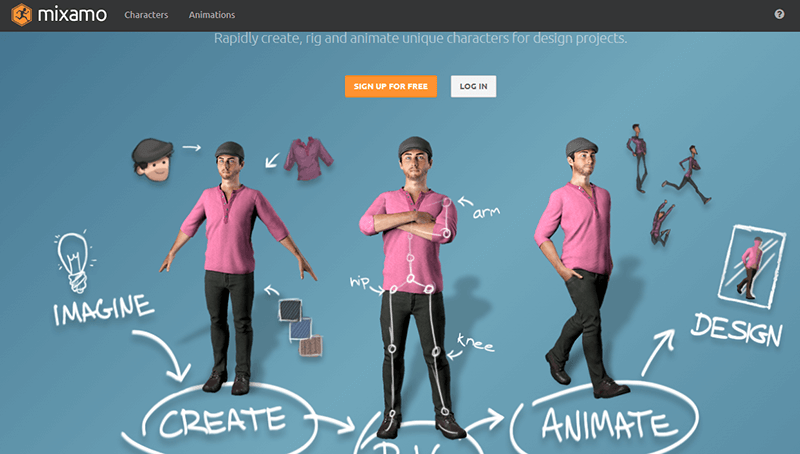 Vectary is a sophisticated user friendly online animation maker that focuses on 3D modeling, and offers thousands of 3D models in their website for free. Users can customize these models to create their own content, with advanced subdivision surface modeling. Download and upload your files with easy drag and drop functionality. Everything is done in your browser. This is the simplest website ever made for an online movie maker. You need flash to view their website. Make multifaceted animation videos, with dialog boxes, background music and much more with streamlined features. Mixamo helps put life into your projects, in every way possible. Your animations look professional, with automatic 3D rigging, unique character designing with unlimited possibilities, and high definition motion pictures. It’s easy, it’s cost effective, and it’s fun. Sign up for free, through your browser and start creating. Nawmal uses AI mechanism into its high quality 3D animated video making online tool that can be created by anybody, anytime, with diverse character designs, illustrations and backgrounds. Their website may not seem that simplistic at first, but they offer a huge collection of templates for 3D animation videos online, that are easy accessible at good prices. 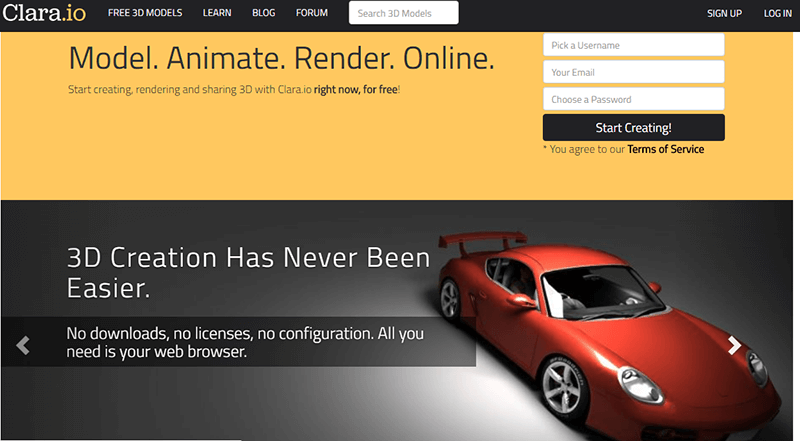 A fully featured cloud based 3D animation creator that is a completely web based software. It’s a winner at modeling, rendering and character designing, even for beginners or non–professionals. 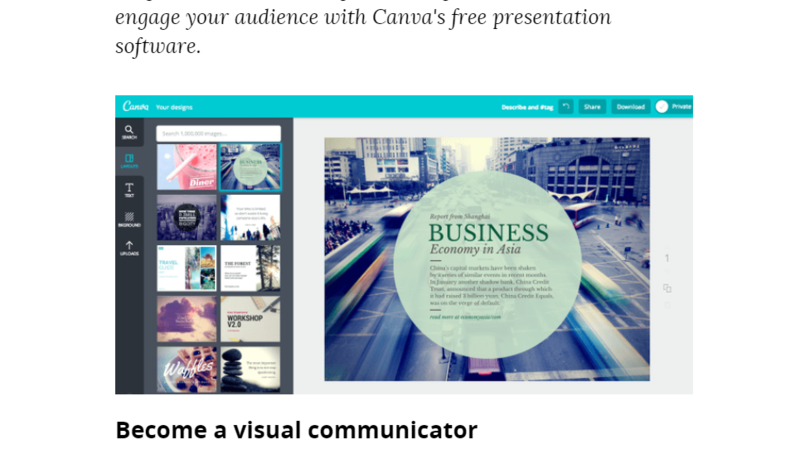 Canva is a powerful presentation software alternative for Powerpoint. The web-base presentation allows you do nearly everything for your presentation online. What’s more, Canva comtains hundreds of pre-made tempaltes for different topics, which will help you design a professional presentation easily. Make your video marketing a pleasurable venture. Additionally, cut down costs on hiring professional animators or investing in an in-house graphic designing team. If it’s your venture, your idea and your objectives, take the pleasure of doing creating the content on your own.